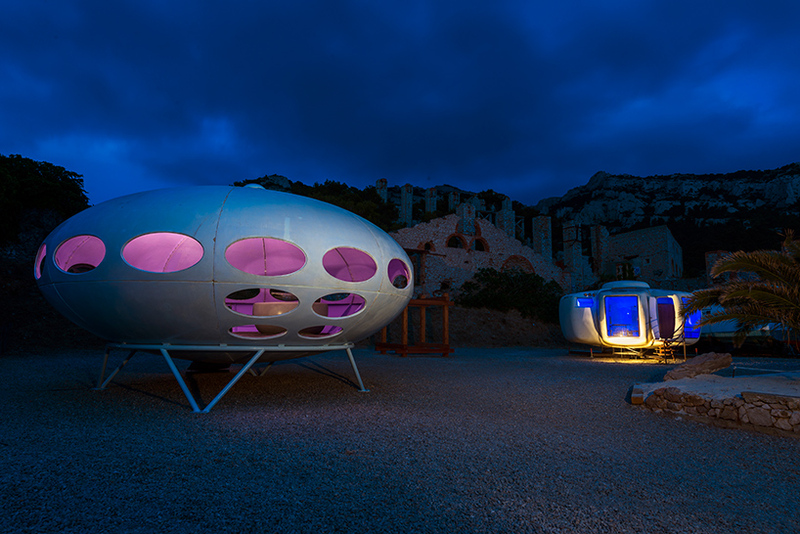 in the south of france, three sci-fi-influenced micro-dwellings form part of a new exhibition titled ‘utopie plastic’, or ‘plastic utopia’. the rare structures, which date back to the late 1960s, serve as pavilions for the display of significant plastic furniture pieces by designers such as maurice calka, quasar khanh, and wendell castle. 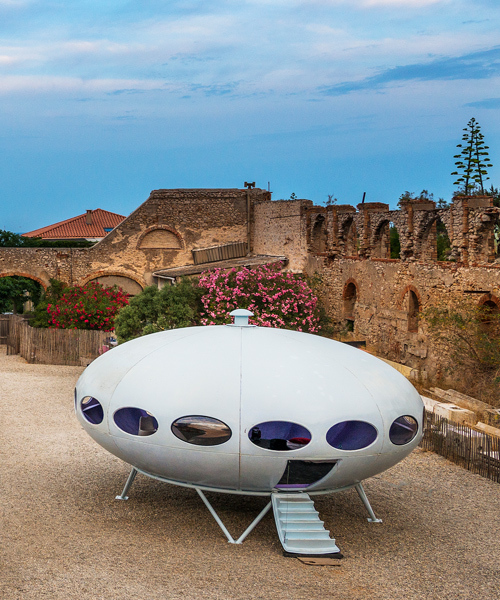 the exhibition comprises: ‘hexacube’ by georges candilis and anja blomstedt; jean-benjamin maneval’s ‘bulle’; and the ‘futuro house’ by finnish architect matti suuronen. 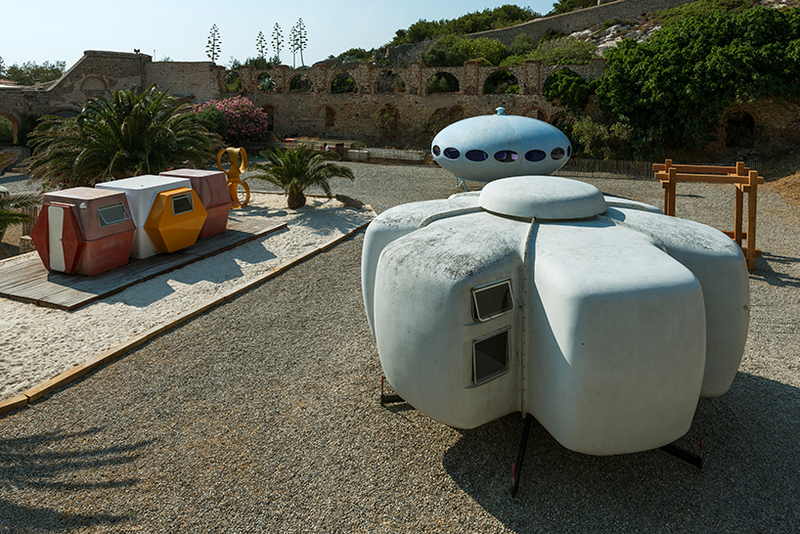 ‘utopie plastic’ is currently on view by appointment at friche de l’escalette, a sculpture park set amid historic stone ruins on the outskirts of marseille. 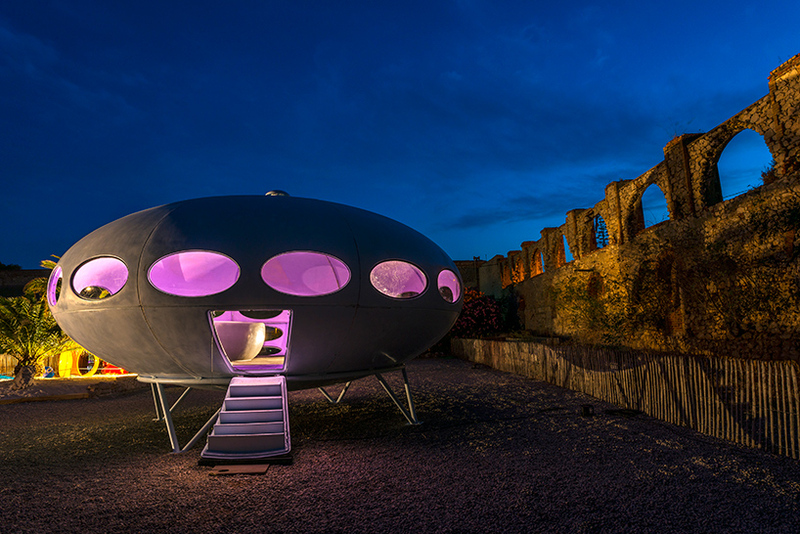 taking center stage is matti suuronen’s ‘futuro house’, which was first unveiled in 1968. in total, 60 saucer-shaped versions of the structure were constructed, which currently occupy sites all over the world. originally commissioned as a holiday home, the structure was designed to be transportable from place to place. 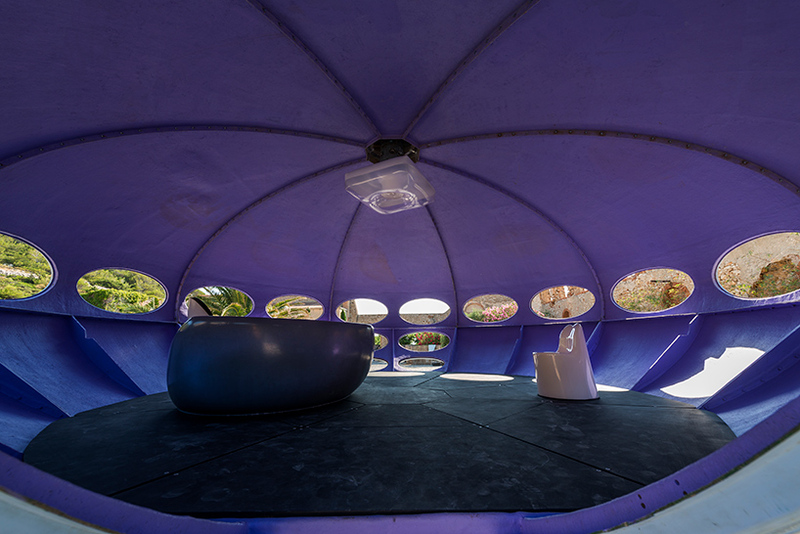 another pavilion on display is the ‘bulle six coques’, a structure conceived by french designer jean-benjamin maneval. 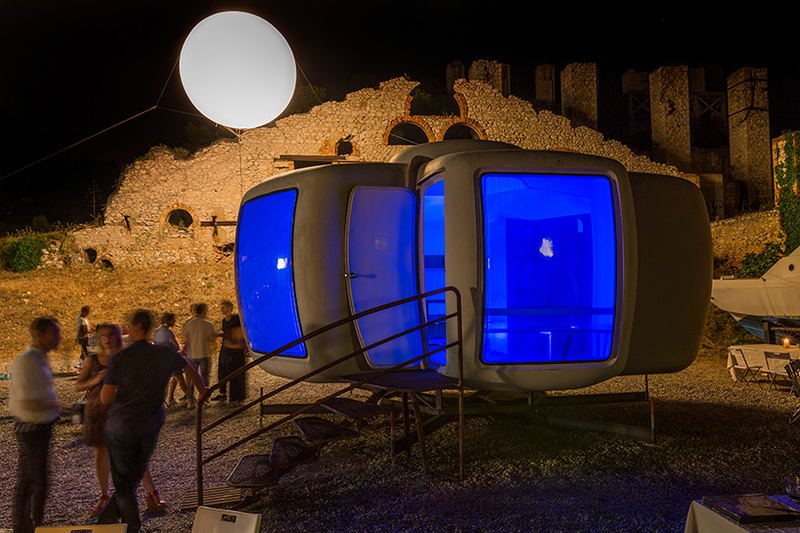 another ‘bulle’ unit will be fully renovated on-site, with visitors to the exhibition able to monitor its restoration in person. 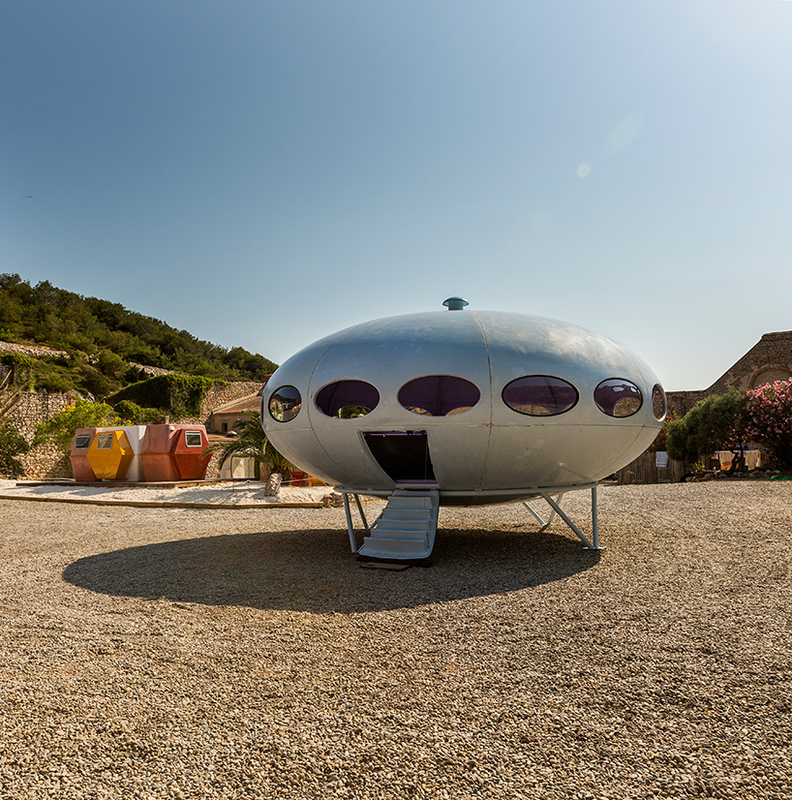 the final futuristic structure was designed by georges candilis, an architect who worked in the office of le corbusier. 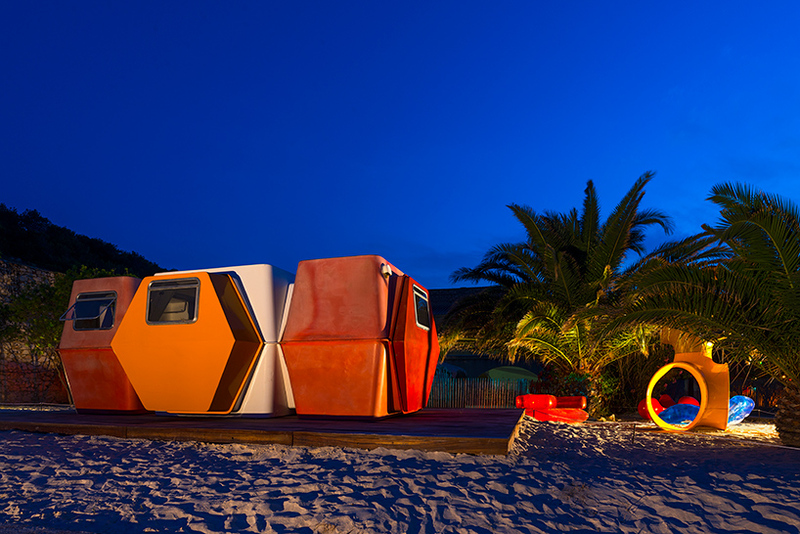 candilis developed a beach-side colony of hexacube ‘space cells’, which was used as a holiday resort before being dismantled. 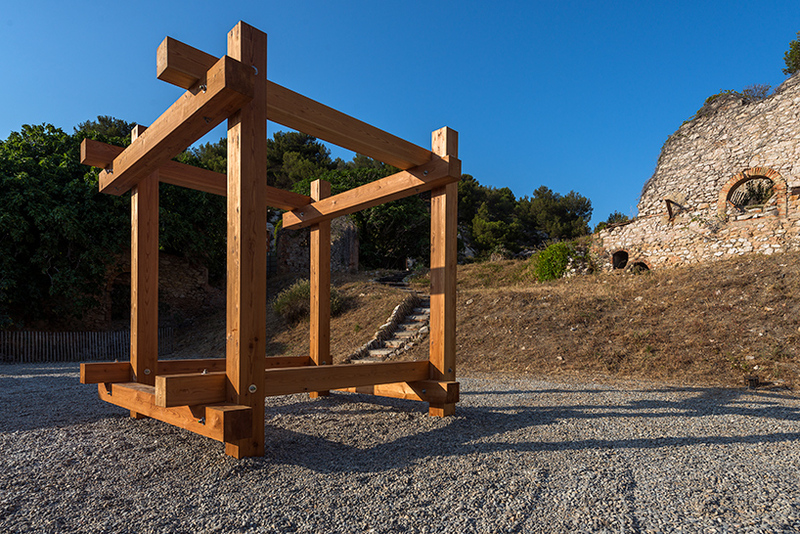 ‘pavillon-skulptur II’ a sculpture by swiss architect and artist max bill is also on view. friche de l’escalette opened in summer 2016 as a park for sculpture and demountable architecture. 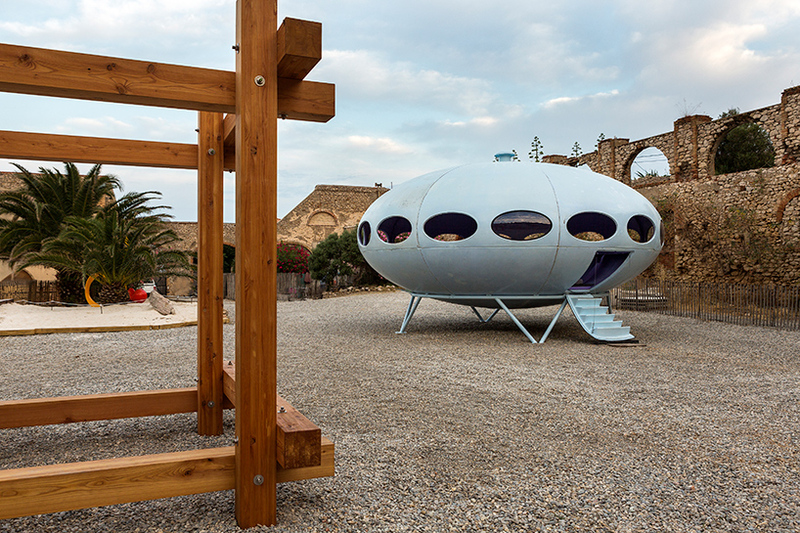 the private institution says that its main aim is to ‘protect the poetry of the place’ and to foster the philosophies shared by jean prouvé, charlotte perriand, pierre jeanneret, le corbusier, and the people of marseilles. described as a work-in-progress’, the venue will host a different exhibition each year free of charge. find out more about friche de l’escalette here. Micro-house designs have always been interesting.